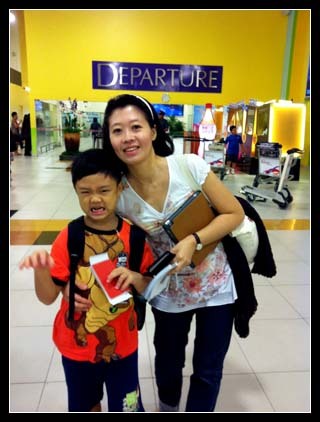 My boy, Aiken is now in Pri 1 and the school holidays is the only time to bring him for a holiday. 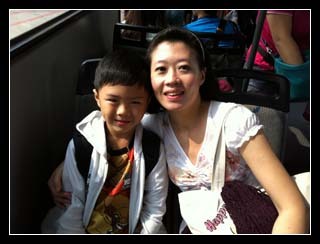 This time round, decided to bring wife and boy to Macau. 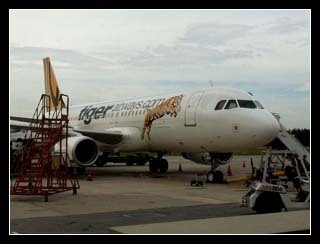 Fortunately (or unfortunately), the only airlines which flies direct to Macau is Tiger Airways. 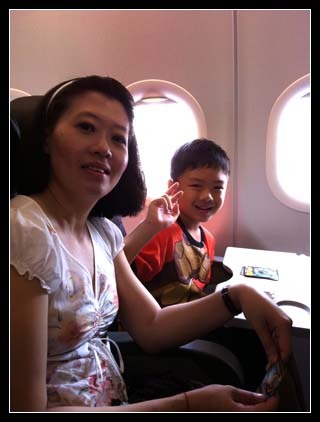 Thus, our first time on a budget airline, which overall was quite an okay experience. Might try again for short flights. Macau is indeed quite a small place where you can cover almost in about 4 days. Hope my travelogue will be able to provide you with a small insight into Macau. 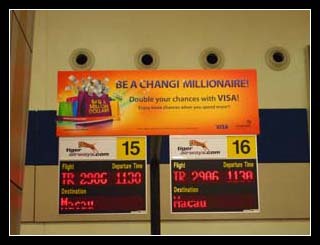 Getting ready to board our flight at the Singapore Budget Terminal. Departure time is 1130h. The budget terminal is really a no-frills airport but at least there is a MacDonalds at the departure hall. 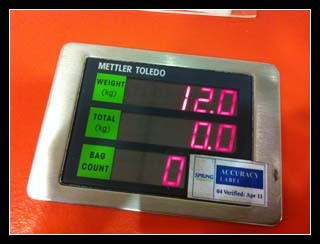 I paid additional for a 20kg check-in lugguage so as to pre-empt any additional stuff which we might buy in Macau. Here's Aiken with his tiger look. Thy Tiger is all prep and ready. Been a long time since I took any plane which requires u to climb up the stairs!!! Aiken is all ready to board the plane. Been long since he took a plane in 2007. Standby for lift-off.....it is about 3hrs to Macau. Everything is chargeable on the flight, drinks, food, etc. Luckily they don't charge you $0.10 for use of the toilet (yet). 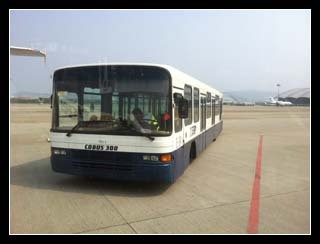 The moment we touchdown, we were ushered into these buses to be ferried to the arrival hall.